AMERICA GET OUT OF THE UN! If the US leaves... it, all, rapidly falls apart. Besides, there's no quicker way to find out who your allies really are, than to see who will lock﻿ arms with you in support-- the old fashioned way. America would gain more by supporting those who demonstrate their friendship by their deeds, rather than their words. The UN is nothing more than a farce, propped up by US taxpayers' Dollars. 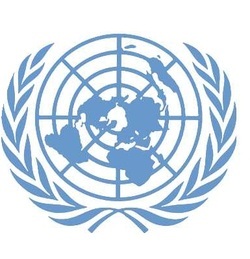 The smartest thing America can do is to get out of the UN, and retire the UN to Geneva. UN resolutions only effect those who are a party﻿ to them. It's very clear that the UN is moving away from American ideology, and it's foolish for America to pursue that which she is not. Is America's financial contribution to the UN worth borrowing money from China to sustain our involvement in it? NOT WORKING SO WELL FOR THE FAR LEFT RADICALS! President Obama and Secretary of State Hillary Rodham Clinton had previously committed the United States to provide $105 billion annually, based on our $15 trillion GNP. World Bank data for 2010 put U.S. per capita GNP at $47,340 - meaning each American family of four would pay $1,325 a year. That may seem like chump change compared to Obamacare or the Obama stimulus. But over a decade, U.S. citizens would be required to contribute well over $1 trillion to U.N. sustainability schemes. THEY SAY, "COME READY TO COMMIT!" RIO DE JANEIRO — Amid the thousands of people assembled at the United Nations Rio+20 Conference on Sustainable Development calling for global government and anti-market “solutions” to alleged planetary “sustainability” and “biodiversity” problems, a vocal coalition of environmental realists who refuse to buy the UN-backed agenda are calling for some sanity — market solutions, real science, and national sovereignty. Some have even proposed abolishing the controversial global institution altogether. While the international press has largely ignored the stinging criticism so far, the small cadre of liberty minded environmental experts, activists, and lawmakers seemed optimistic. The climate alarmism of a few years ago, for example, is virtually “dead” despite overwhelming media support. topic has largely taken a back seat to new UN allegations --overpopulation, decreasing biodiversity, and a lack of “sustainability.” Global warming seems to have taken a back seat since scientists have come "out of the closet" and reported the truth - now the NWO junkies are reversing courses. the supposed “science” underpinning the agenda, and the increasing irrelevancy of the mainstream media, all of the critics who spoke to The New American said there is cause for hope. They were surprisingly upbeat, too. 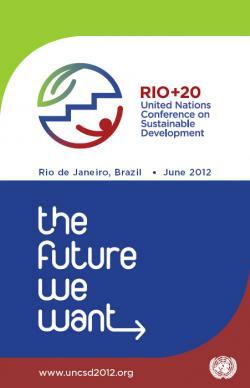 Among the most prominent opponents lambasting the UN and its lavish Rio+20“sustainability” conference was U.S. Senator James Inhofe (R-Okla.), the ranking member on the Senate Environment Committee. Appearing at a conference via video, the well-known skeptic of “global-warming” alarmism blasted the worldwide “far-left” agenda to impose carbon taxes and redistribute wealth.“Whatever happened to sovereignty?” he asked. Other critics of the global body’s agenda offered even harsher criticism during the conference. Lord Christopher Monckton, a former science policy advisor to U.K. Prime Minister Margaret Thatcher and a well-known advocate for real science and human liberty, slammed the entire UN summit and declared that its dangerous agenda should fail.